PEEL and roughly chop the onion and garlic cloves, it doesn’t really matter how you cut them cause we’re going to blend the soup anyway. HEAT olive oil in a large pan and saute the onion and garlic for about 2 minutes. 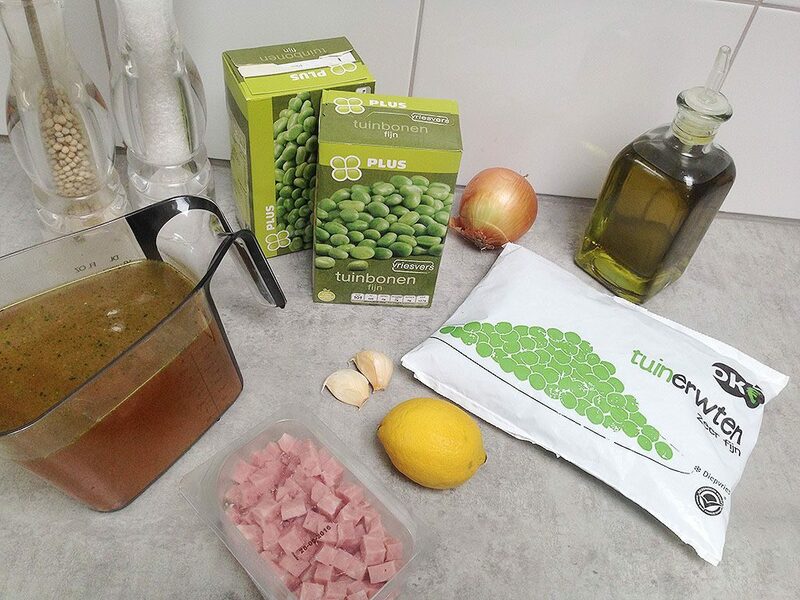 ADD the (frozen) broad beans and peas and saute them a few minutes more. POUR in the vegetable stock and bring to a boil. 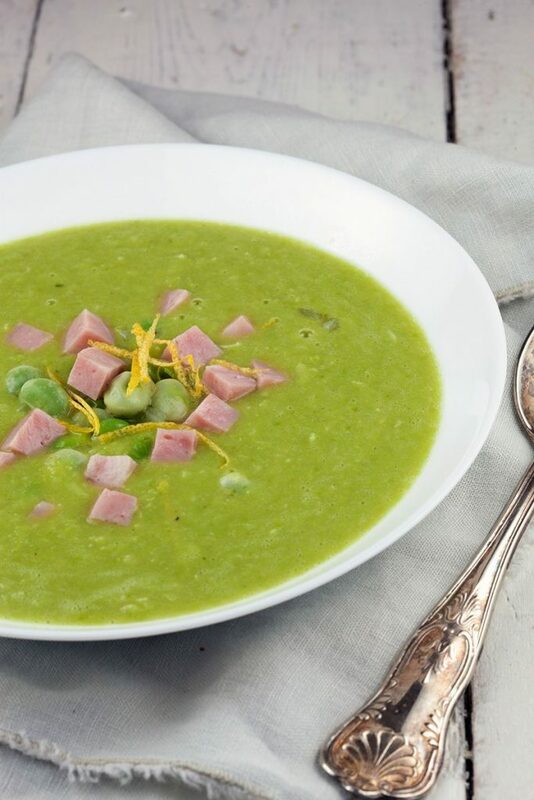 When the soup has come to a boil you can turn down the heat and let it simmer for 10 minutes, or until the broad beans or fully cooked. 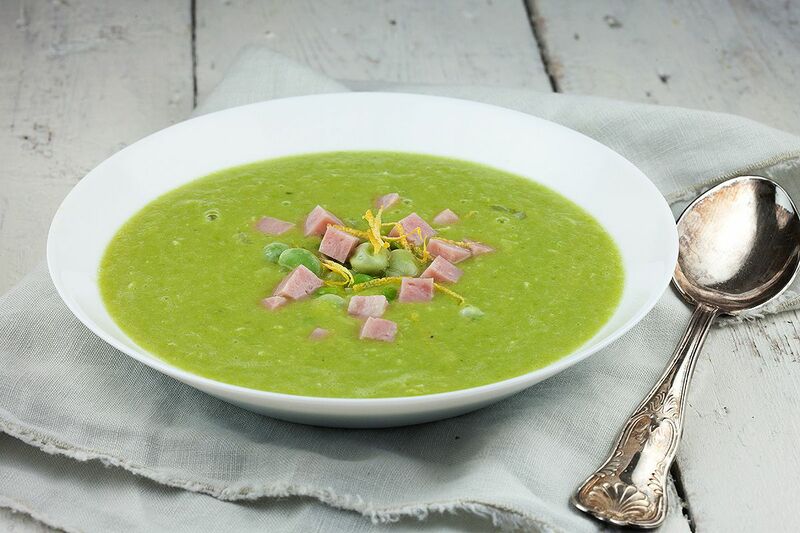 Keep some broad beans aside if you like and blend the rest of the soup until smooth. You can use a (immersion) blender to do this. SEASON the soup with pepper, salt and juice of half a lemon. 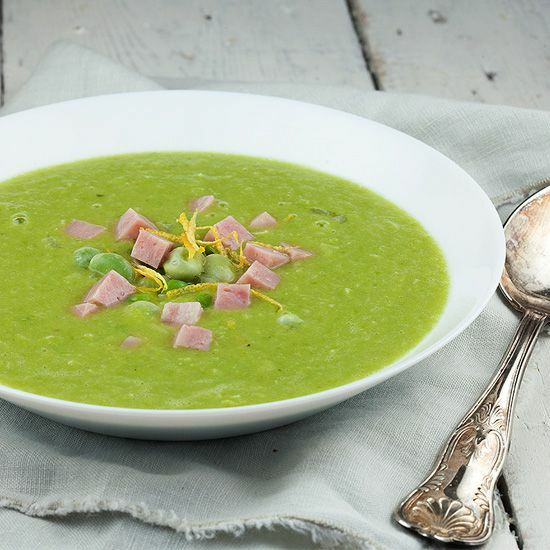 DIVIDE the soup over plates or bowls and ADD a small amount of the whole broad beans and peas. If you’re not a vegetarian you can add some diced ham. Finish the soup with lemon zest and enjoy! Frankly, your site has so many great dishes. This is the nice one too. I’ll be back soon and continue to learn many delicious recipes from yours. Thanks again.